Do you need teeth whitening in the Jacksonville area? Call Dr. Sorensen, a cosmetic dentist at Blue Water Dental of St. Johns. Teeth whitening or bleaching products brighten teeth that have been stained or darkened by food, tobacco use, age or injury. Teeth whitening procedures are effective, but not permanent. Depending on the procedure used, whitening may fade over time. Patients are advised to avoid food and drinks that may stain or darken teeth. There are a variety of in-office and take-home teeth whitening products that can reduce or eliminate such stains. Various over-the-counter products, toothpastes and bleaching strips, are advertised as being effective teeth-whiteners. However, although based on the same science as professional bleaching, the concentration of effective ingredients tends to be much lower, lengthening treatment time and often not providing the level of whitening desired. Take-home bleaching solutions can help improve the color and overall brightness of teeth. These kits are simpler and less expensive – and can be just as effective as in-office treatments. Dentists provide patients with customized impression trays, whitening powder and whitening gel, the use of which improves the appearance of teeth over just a few days. If you are interested in take-home teeth whitening, contact cosmetic dentist Dr. Sorensen today. Dr. Sorensen proudly provides teeth whitening for patients in Ponte Vedra, Palm Valley, Jacksonville, and Nocate, FL and surrounding areas. 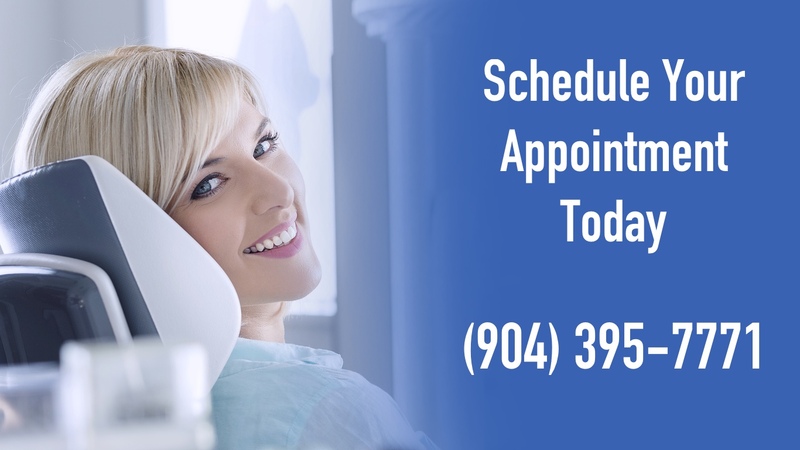 If you are in need of cosmetic dentistry services, contact Blue Water Dental of St. Johns at (904) 395-7771 or Request An Appointment today.